He truly believed that a way to a man’s heart is through his stomach. This quote is a running joke in my family, but I do think of Grandpa every time I bake a pie. 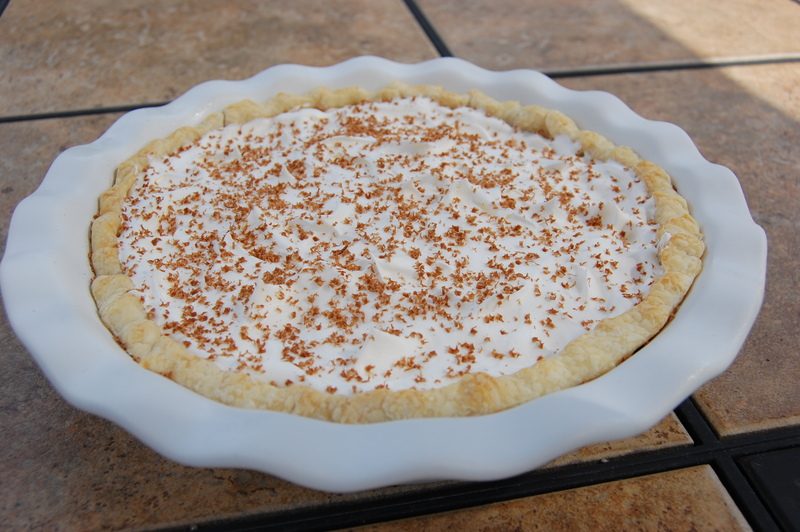 So, in honor of him, I will share with you one of my Mother-in-law’s favorite pie recipes. 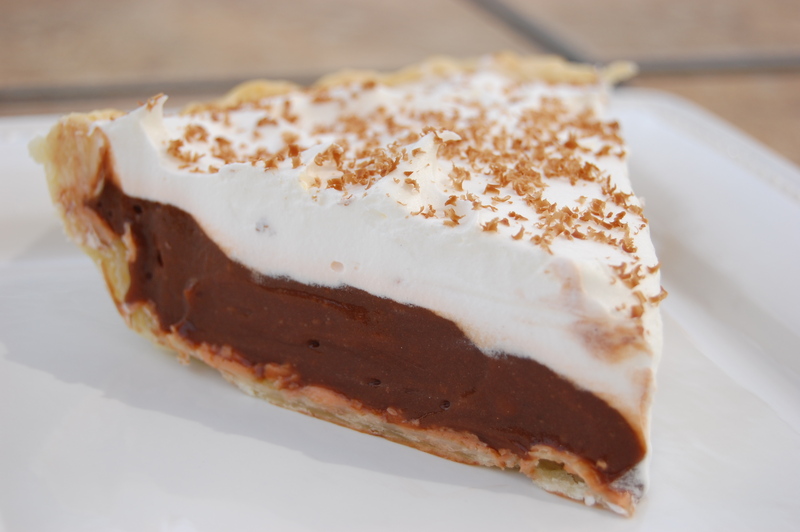 This chocolate pie is so smooth and rich. 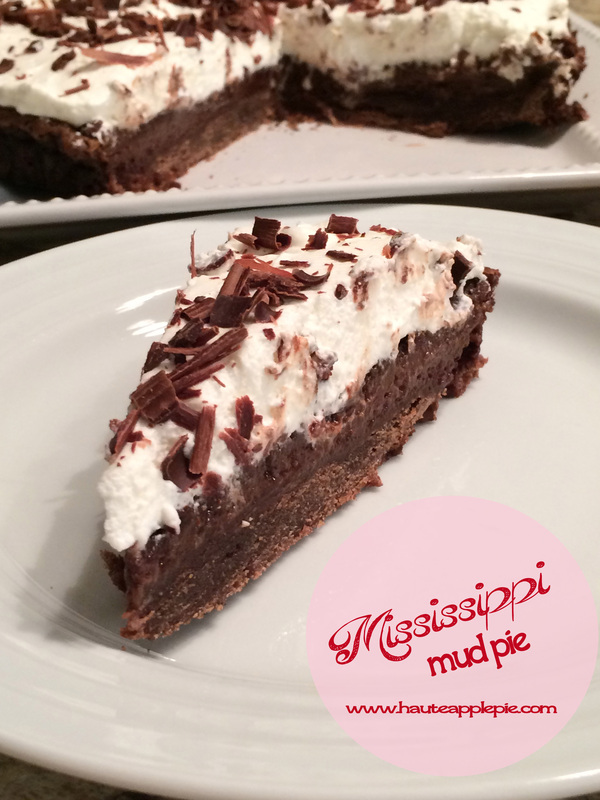 It is the perfect go-to recipe for chocolate lovers. Place sugar, flour, milk, and chopped up chocolate in 2 quart saucepan. Cook over medium heat, stirring constantly with a whisk until mixture begins to bubble. Continue stirring for 2 minutes. Now you will need to temper the eggs before you add them to the hot mixture. First, crack the eggs into a small heatproof bowl. Begin rapidly beating the eggs. While you do this, slowly add about ¼ cup of the warm mixture into the eggs. Continue beating until combined. This will prevent the eggs from scrabbling right when they hit the warm chocolate mixture. Add the tempered eggs to the warm chocolate mixture and cook for an additional 90 seconds, stirring constantly. Pour the filling into prebaked pie shell, and chill until set. 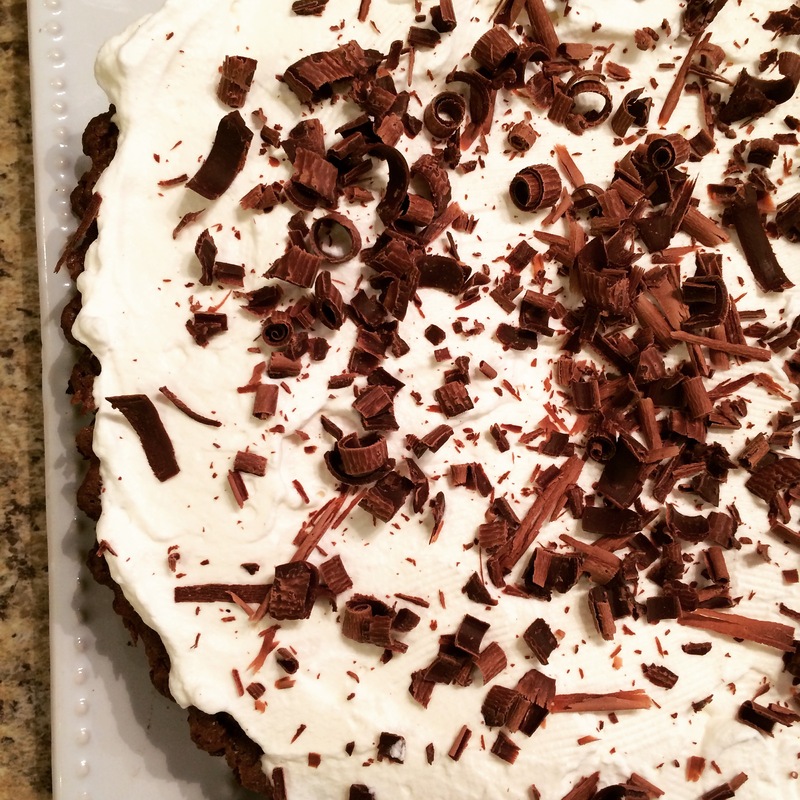 Top with whipped topping, and a little grated chocolate. Happy Birthday Haute Apple Pie!